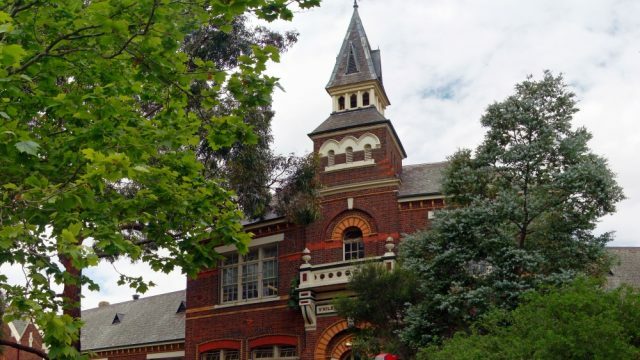 Past the brick classrooms of Moorabbin Primary School, across the grounds and beside a wire fence, there is a pathway. Down the pathway, footprints lead to the teacher’s carpark. On the carpark is a giant shed. A thick lighting cable sneaks under the shed door – a clue to the movie-magic that awaits inside. 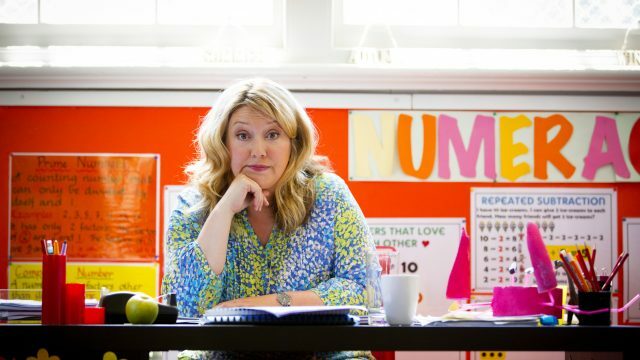 In this unassuming school shed lies the set of The Inbestigators – a new Australian live-action comedy-mystery series from the creative minds of Gristmill, Robyn Butler and Wayne Hope (Little Lunch, Upper Middle Bogan, Back in Very Small Business). Stepping into the shed is a surreal experience. Expecting bins, P.E equipment and garden supplies, it takes a moment for your eyes to adjust to what really lies before you. In one corner is a film-noir style detective’s office – including a desk, magnifying glasses and frosted glass windows, emblazoned with ‘The Inbestigators’ lettering. In another corner is a lounge-room with family photos, tabletop books and a reading nook. Beside the double-seater couch is a fully-furnished kitchen, quite literally including the kitchen sink. Scrabble magnets arranged on the fridge announce that we are not standing in a teacher’s carpark, but have, in fact, entered ‘Ezra’s House’. 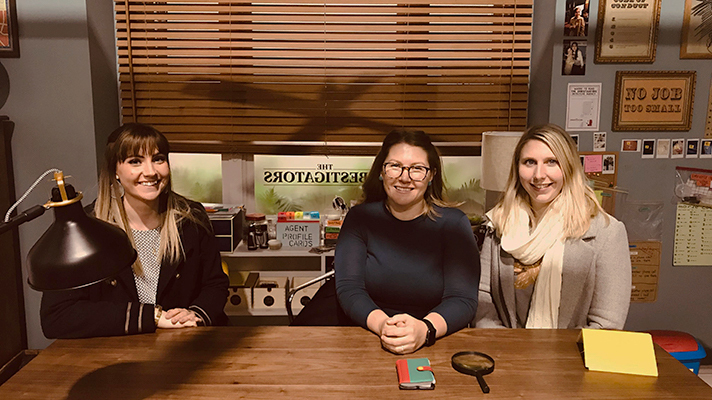 L to R: The ACTF’s Lily Pavlovic (Digital Communications Officer & Education Coordinator), Janine Kelly (Curriculum Officer) and Ella Barton (Production Assistant) on The Inbestigators set. On closer inspection, the design of the set reveals some clues as to who The Inbestigators really are. There’s no mistaking that the desk set up is a deliberate business venture – the set of Inbestigators cards on display, motivational posters and flyers stacked high have Ezra’s name all over them. An aspiring entrepreneur, it is Ezra’s love of business that sparks The Inbestigators, a detective agency run by children. On the desk lies Maudie’s notebook – a rare time when case-cracker Maudie has parted with it. Maudie is the Sherlock to Ezra’s Watson. Her penchant is to meticulously record clues, document interviews and cross examine evidence to draw conclusions and solve the case. Alongside this book, I’d like to think the collection of novels adorning the shelves also belong to Maudie’s personal collection of detective stories. What’s quite impressive are the items you can’t quite see. In a set of colour-coordinated tubs are neatly stacked puzzle adventure books and stationery items. All the case files are organised in labelled filing cabinets – surely the work of Ava – the social whizz and events-organising superstar. A set of games, including Stratego, Charades and Scrabble are stacked to one side. Directly opposite, a collection of AFL playing cards are displayed on the bench – items that can only be attributed to the athletic and sports-loving detective, Kyle. Walking out of the shed and into the playground – the characters suddenly come to life. Outside, the cast and crew are filming their second last week of The Inbestigators. 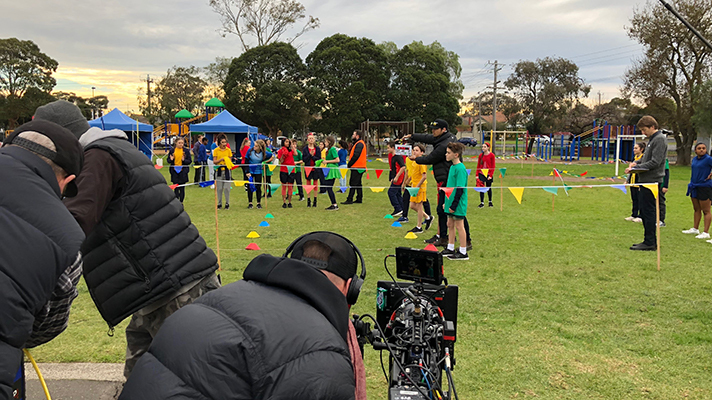 In the sunny yard of this Victorian primary school, cameras, lighting and sound operators reset their equipment, while the key cast members rehearse for the next scene. One of three directors on this last shooting block, Tim Bartley tells us that the team is filming the episode: ‘The Case of the Distracted Detective’. Contrary to the name, the cast were focused and attentive – with a particularly technical scene to master, the young actors persevered through takes with admirable determination and skill. In between takes, the crew voice words of encouragement – “good job”, “great energy – that was awesome” and “you got this – good on you, mate”. When a break is called, the cast and extras hop on the playground to chat about their holiday plans together. Other cast and crew members play footy together during lunch, and hacky sack in the shorter breaks. With one more week left to film, The Inbestigators team can soon look forward to the next steps of the process. 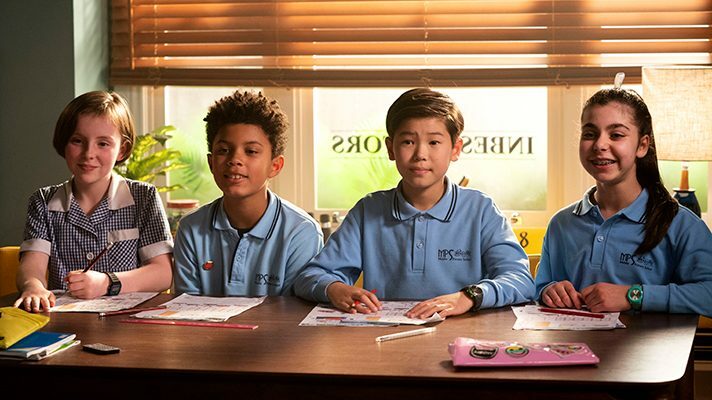 In 2019, The Inbestigators will debut on ABC ME in Australia and stream on Netflix internationally to a mass of eager, young fans. Following a day of filming, having explored the set and seen evidence of an exciting new series in the works, we can only deduce: fans of mystery, keep a close eye on The Inbestigators. It’s going to be a case for success. 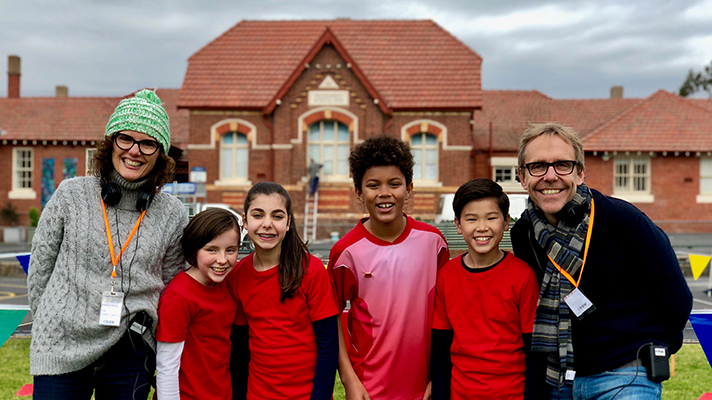 The Inbestigators is a series from Gristmill, made with the support of Screen Australia and Film Victoria for ABC and Netflix. The Australian Children’s Television Foundation distributes The Inbestigators worldwide.